***AV SUPPLY had updated the size chart standard according to re-measurement and customer feedback in Mar.2018, please refer to the size chart before your purchasing. 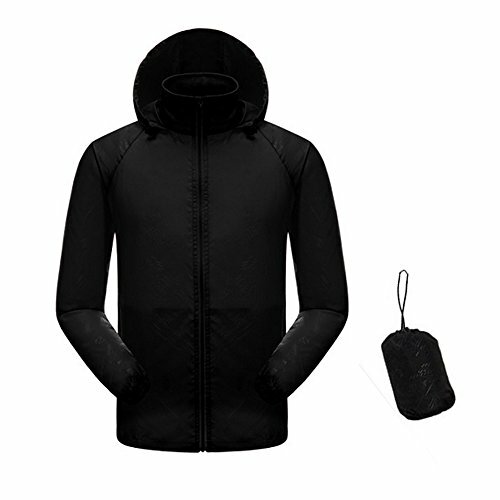 Material:100% Nylon Fabrics,Lucency; Super Lightweight,UV sun protection,Quick dry,Windbreaker,Sweatproof,Breathable,Packable,Portable, Thin,Easy to handle with Light Rain, Easy and Comportable to Wear. Application: Outdoor Sports, traveling, Cycling,Hiking, Mountaineering,Rock Climbing, Shooting, Fishing, Riding, Hunting,Driving,Bowling and Camping,etc. Keep warm in cold days, and keep the wind and slight water out in rainy days. According to the reviews, we have revised the size. Please subject to the Size Chart on the left or in the description.